Enjoy Utah! 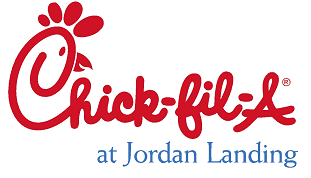 : Chick Fil A Jordan Landing TWO YEAR Celebration! Chick Fil A Jordan Landing TWO YEAR Celebration! to celebrate their 2 year anniversary! Ask to upsize your combo meal for free during lunch and dinner! Free cake with your meal! Cake and free offer valid from 11-1pm and 5-7pm only while supplies last. Maybe even some freebies to give away.